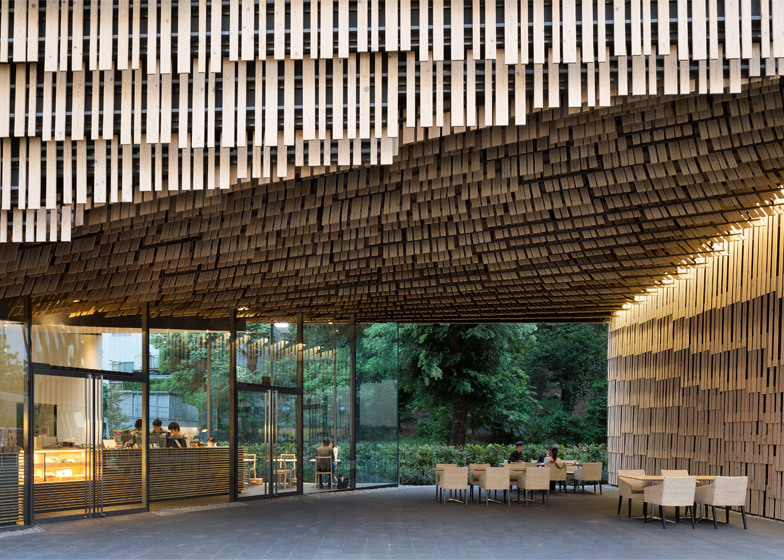 Hundreds of thin wooden strips cover the facade of this university building by Japanese firm Kengo Kuma and Associates, while a cavernous opening at ground level frames a view of a park behind (+ slideshow). 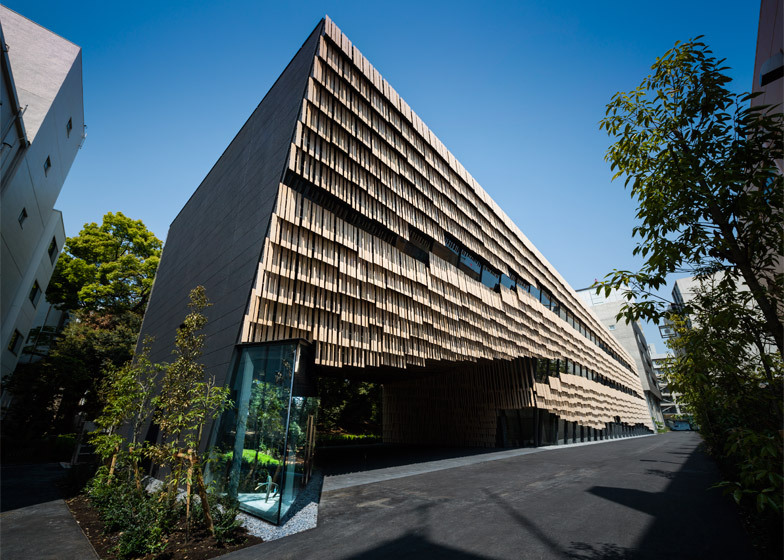 Kengo Kuma's firm designed the structure for the University of Tokyo's Hongo Campus. Known as the Daiwa Ubiquitous Computing Research Building, it facilitates studies into an advanced branch of computing that explores how people could become permanently connected to an online network. The 68,000-square-metre building is made up of five storeys – three above ground and two in the basement. 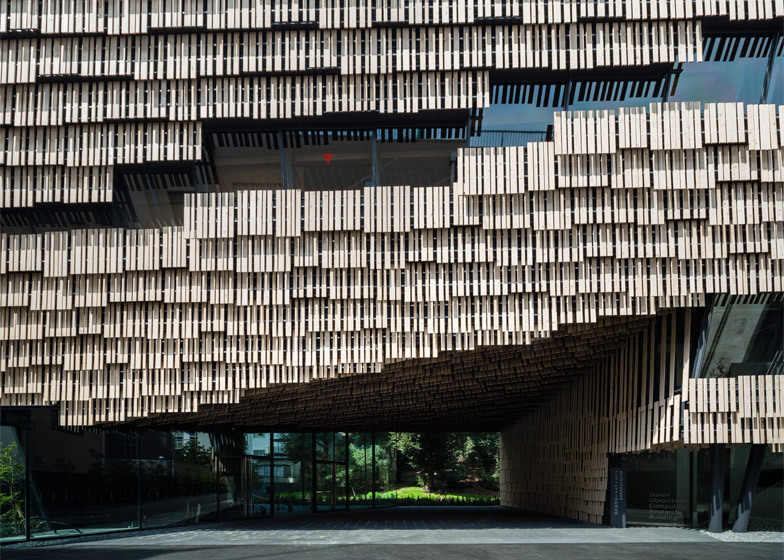 Strips of cedar cover the entire facade, creating a series of scale-like layers that look like they could be easily snapped off. 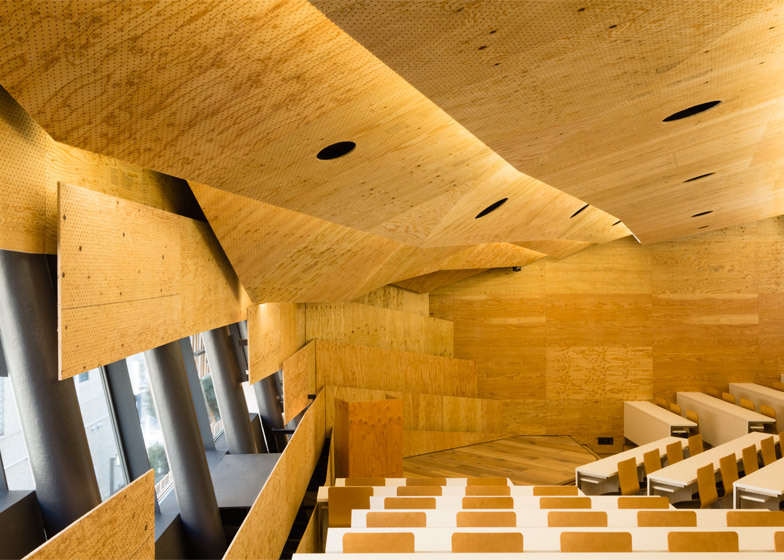 "Our aim was to break away from conventional image of campuses that consist of hard materials such as concrete, metal or stone, and to instead design a soft building made with wood and earth," explained the studio in a statement. 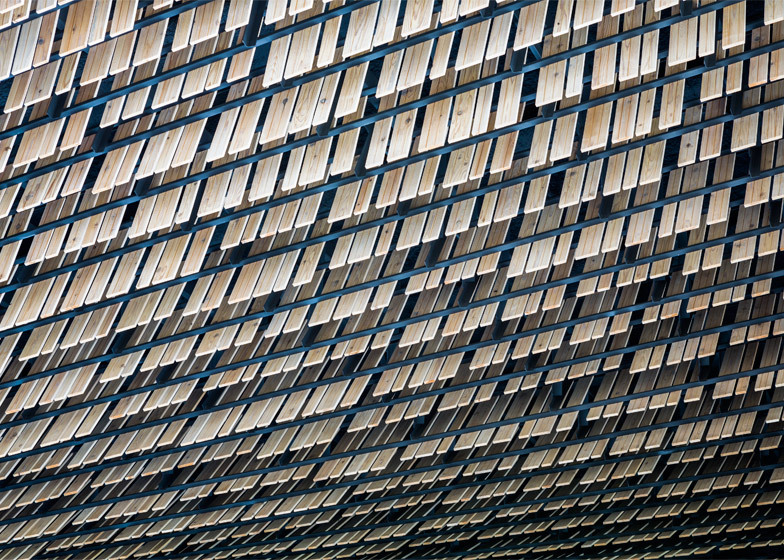 "Here, scale-like panels of natural materials gently undulate to form a smooth and organic facade." These vertical strips were organised into groups of typically between five and 10, then laid out in rows that stagger diagonally. The result is a random appearance that dictates the non-linear shapes of the windows slotted in between. Although not apparent at first glance, the steel-framed building also swells out slightly at the upper levels to fit in extra floor space. 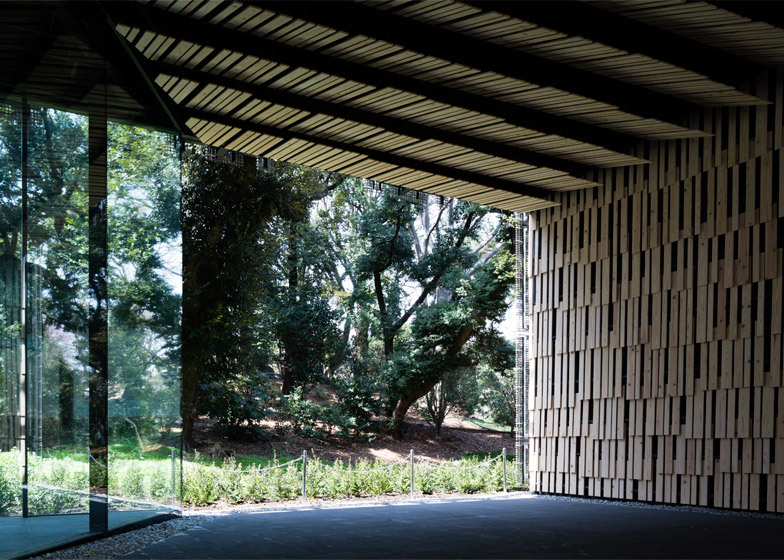 At ground level, an opening extends right through the structure to create a sheltered space that is also covered in the cedar strips. This opening frames a view of the park beyond – a factor that influenced the design. "The opening generates a gentle and organic flow of light and wind in the campus, which is otherwise dominated by the strict grid arrangement," said the firm. A wall of glazing signifies the entrance. Inside, the reception is accompanied by a cafe, so some seating has been created outside. In keeping with the building's use, the architects have also integrated an intelligent building management system. Hundreds of sensors throughout are used to monitor and regulate temperature, humidity and ventilation. Photography is courtesy of SS Tokyo, apart from where otherwise indicated.